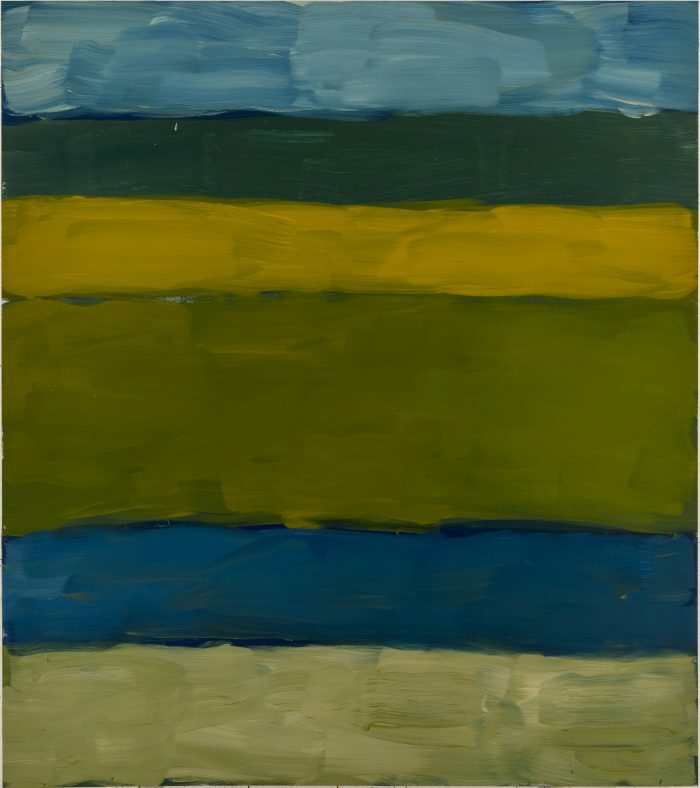 For over a generation, Sean Scully has been considered one of the world’s leading abstract painters. Born in 1945 in Dublin and raised in London, he now lives between New York and Germany. He was elected a Royal Academician in 2013 and was twice shortlisted for the Turner Prize, in 1989 and in 1993. He has shown in the world’s most important museums and galleries and had a major retrospective which toured multiple venues in China from 2015–2017. Scully’s work is held in numerous public collections, including The Metropolitan Museum of Art, Museum of Modern Art, and Solomon R. Guggenheim Museum, New York; The National Gallery of Art, the Corcoran Gallery of Art, and Hirshhorn Museum and Sculpture Garden, Washington, D.C.; Modern Art Museum of Fort Worth, Fort Worth; Tate, London; Kunstsammlung Nordrhein-Westfalen K20K21, Düsseldorf; Albertina, Vienna; Museo Nacional Centro de Arte Reina Sofia, Madrid; Instituto Valencia d’Arte Modern, Valencia; Guangzhou Museum of Art, Guangzhou and China Central Academy of Fine Arts, Beijing, China.